In February last year we were privileged to prepare the Duke of Northumberland’s 1825 State Coach for the wedding of his daughter. The Coach is undoubtedly one of the finest in Britain. Non-invasive conservation work was carried out to enhance the features and we also made it safe for use. 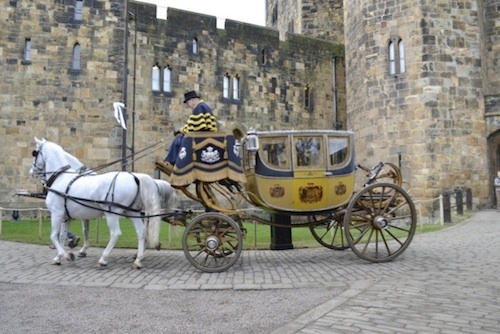 The Coach transported the bride and her father through the historic town of Alnwick and is now on display at Alnwick Castle. 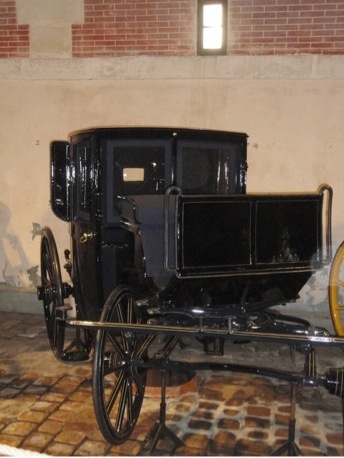 One of our first customers was the Chateau of Vaux le Vicomte and we are delighted that we still look after their extensive carriage collection. Last summer we commenced a restoration project on a Brougham which is now returned to the Chateau and on display. The Chateau and its superb gardens are really worth visiting if you are ever near Paris. 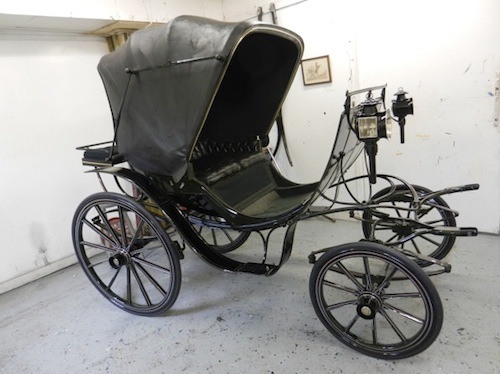 Following the sale of the Althorpe carriages a number of them have been in our workshops. The State Chariot and a George IV Phaeton have been conserved and now form part of a private transport collection. Meanwhile the Ralli Car and Lady’s Phaeton have been returned to their original livery and are intended for use in Private Driving classes. 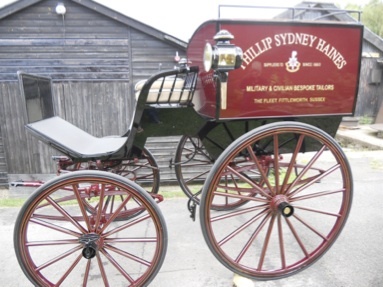 In July Francis and Duncan were invited by the owner of this very original 1905 Alldays & Onions Veteran car, to attend the historic ‘Cart Marking’ event held at the Guild Hall in City of London. Prior to 1965 all commercial vehicles, trading within the City of London, had to be licensed (cart-marked) annually. It is now a ceremonial tradition and many types of vehicle turn up to be branded by the Lord Mayor of London. This was followed by a luncheon in the Guild Hall. 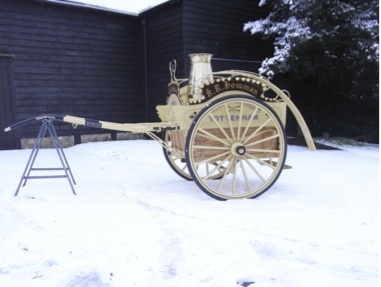 After having completed a full restoration of this original Mills Dog Cart we were delighted that James Bailey won the Traditional Carriage Class. Our traditional coach building skills have been put to good use designing and making these two traditional trade vehicles. The Milk Float was built around original milk float iron work to a style much admired by the owner. It can now be seen at many driving events. The Tailor’s Van was a conversion of a wagonette and is typical of trade van adaptations that were carried out in the 1900’s. Both vehicles now compete in the Trade Classes. 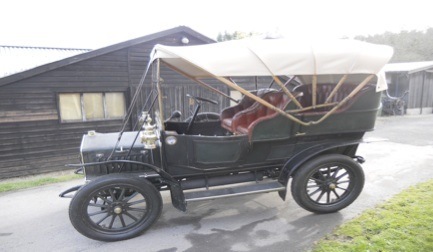 We are looking forward to the London to Brighton Veteran Car Run in November as the 1897 Daimler that we have been restoring over the past two years will be taking part. Over the past twelve months we have had numerous visits from ‘interested’ historical groups to our workshops. On each of these occasions we have received generous donations to ‘Orbis’, the charity that Fairbourne Carriages supports, which provides sight saving eye care and operations to people in developing countries. On the 19 June 2011 sadly Nick passed away after a short illness. His hard work and commitment to Fairbourne Carriages has left us with a thriving family business that we are continually developing and is thus evolving in order to meet the broadening needs of our customers.